Get your copy of our new magazine in shops and online now! 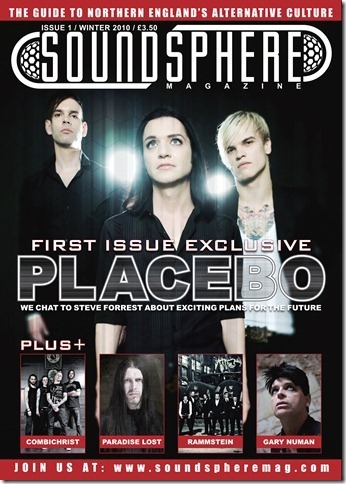 Soundspheremag.com’s Winter 2010/11 print edition features an array of awesome alternative acts including Placebo, Rammstein, Gary Numan and Paradise Lost along with some of the best and brightest talent from the north of England including Zeitgeist Zero and GLASS. 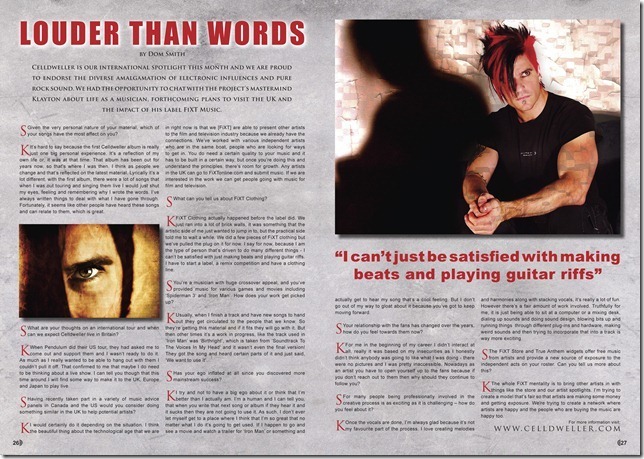 We’ve also got a fantastic international spotlight on Celldweller and more. It’s a 36-page glossy beast! The mag is available from Heaven Forbid! in York, the York St John Student’s Union shop, Tokyo Royale in Manchester’s Affleck’s Palace and York St John Student’s Union in Leeds along with our own official website (via the link below) and FiXT Music in America. 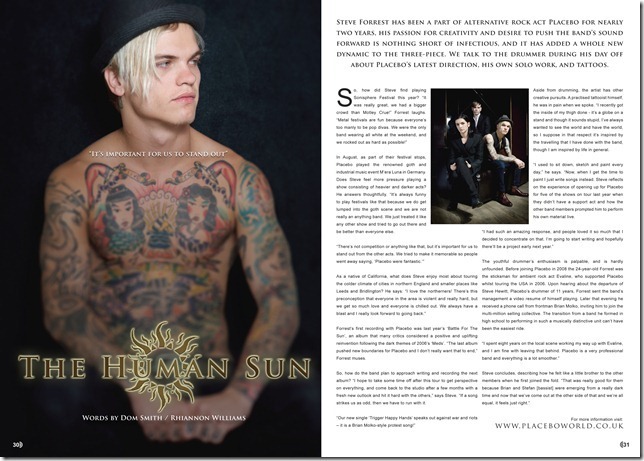 You can also grab it from Vamps (York) and musicnonstop.co.uk (London). The magazine is priced at £3.50.